Australia usually prides itself on its strict firearms laws, which have been hailed as a model for reform by other countries plagued by high rates of gun crime, including the United States. Following the tragic Port Arthur Massacre in 1996, during which 35 were killed and another 23 wounded, the Howard government began to crack down on gun ownership, introducing an extensive firearms buyback later that year. The buyback resulted in the government purchasing and destroying 631,000 firearms. Since then, rates of firearm-related homicides – and gun-related crimes in general – have fallen significantly, and the number of guns reported stolen has also dropped. 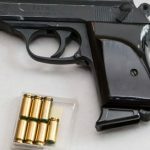 But new statistics show that New South Wales may be taking a step backwards, with gun ownership reportedly surging in the last five years – in some areas by up to 81%. Around the state, gun ownership has increased by 60% since 2010. 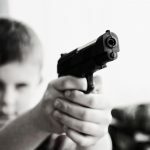 While growth in gun ownership may be understandable in rural areas where farmers require firearms to maintain livestock, significant increases were also seen in Sydney suburbs, with the largest number of Sydney’s gun owners living in Liverpool, Chester Hill and Horsley Park – all in Sydney’s south-west. Perhaps unsurprisingly, this same area has seen a significant increase in shootings in recent years. 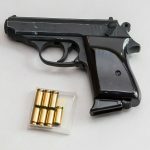 The Bureau of Crime Statistics and Research (BOCSAR) reports that incidents of prohibited and regulated weapons offences in the Liverpool Local Government Area increased by a staggering 51.2% between April 2013 and March 2015. And in NSW overall, there was a significant 17.4% rise in firearms offences over that same two-year period. Earlier this year, a father of five was taken to hospital in a critical condition after a shot was fired through his living room window in Yagoona, hitting him in the head. In another incident last year, shots were fired through the window of a Liverpool home in which two young children were sleeping. Thankfully, no-one was hurt. Incredibly, some of the biggest increases in gun ownership were recorded in areas that you might least expect – such as Neutral Bay, the CBD and Pyrmont. But it was rural regions that recorded the greatest increases in gun ownership, with Dubbo, Bathurst and Tamworth leading the state. Why Has There Been an Increase in Gun Crime? Some might question why Australians have been so keen to get their hands on firearms years after the success of the buyback scheme. 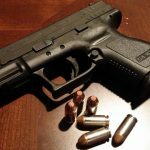 Following incidents such as the Sydney siege, which turned the spotlight on current gun ownership laws, some may even find this newfound interest in firearms inexplicable. But NSW Police have apparently linked the increase in gun ownership to the influence of American culture through film and video games, which they say has seen more Australians adopting the belief that citizens should have the right to bear arms. 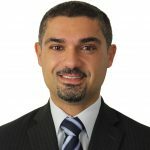 These claims have been denied by pro-gun advocates such as Shooters and Fishers MP Robert Borsak, who said in a recent radio interview that the increase in gun ownership was in line with a natural increase in population. Ironically, the Shooters and Fishers Party was behind a controversial three year trial to allow hunting in national parks, which has seen hunters descend upon parks in search of vermin to kill – offering many an incentive to obtain a gun licence. 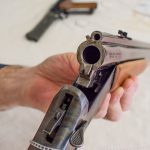 Others have suggested that the explosion in the number of people applying for firearms licences was simply due to a greater appreciation of gun sports, such as hunting, pistol clubs and clay target clubs. Sporting clubs around the state have reportedly recorded an increase in membership in line with the number of people applying for gun licences – with members hailing from a wide range of professions and backgrounds. Current gun laws require those applying for firearms licences to meet a number of stringent requirements, including demonstrating that they have a ‘genuine reason’ for possessing or using a firearm. ‘Genuine reasons’ are set out in section 12 of the Firearms Act 1996, and include, amongst other things, recreational hunting and vermin control, firearms collecting, sport or target shooting, and business or employment. The personal protection of property or another person is not classified as a ‘genuine reason’ for having a firearms licence under the law. Those who keep or use guns without a valid licence may find themselves charged with possessing or using an unlicensed firearm. Some say that the increase in gun ownership is cause for concern, fearing that Australia may follow in the footsteps of the United States, where gun crime is rife. Following the Sydney siege, a review was conducted into current firearms laws which resulted in several recommendations, including the formation of a National Firearms Interface to track illegal firearms entering the market. Previous recommendations included introducing uniform gun ownership laws across the nation and a national gun-control strategy. The Greens have also proposed legislation which would see limitations placed upon the number of firearms that individuals are able to own. 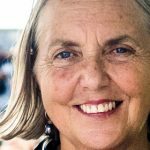 But the Greens fear that these laws will never be passed because of the influence that pro-gun supporters wield in parliament – and with parties like the Shooters and Fishers party gaining support, it may be the case that the government in fact relaxes our gun laws before tightening them.